Ernie makes his salsas locally using the freshest ingredients available. 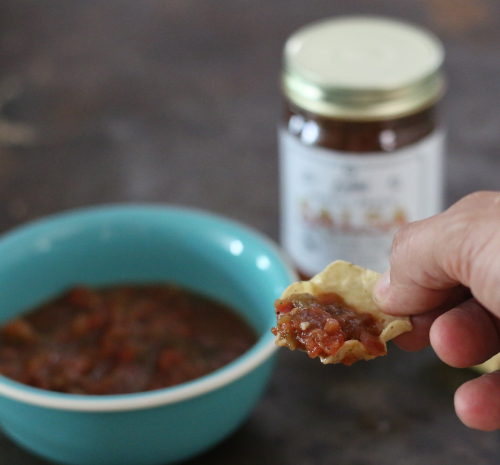 He came into the salsa business by starting in the garden, growing fresh vegetables and picking them at the peak of flavor, making salsa in his own kitchen for family and friends locally here in Virginia. Not much has changed other than growth — which is a good thing! Ernie specialized in 5 flavors — Black Bean and Corn, Chesapeake Shrimp, Gourmet Red, Hawaiian Pineapple Heat and Perfect Peach. Rumor has it, a new flavor is already in the works. My favorite, hands down, was the Chesapeake Shrimp, as I can never get enough of that crab/shrimp spice — although picking a hands down favorite was difficult! 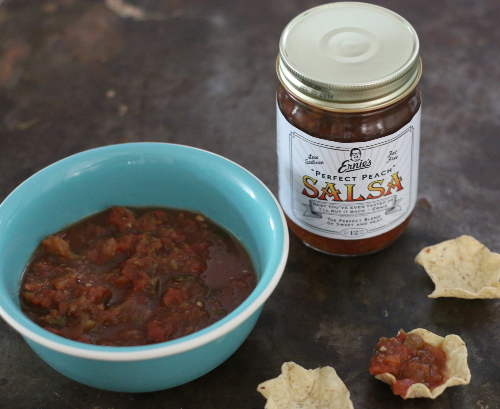 Two of my readers will win a complete 5 jar variety pack of Ernie's Epic Food salsa just in time for backyard barbecues! To enter, simply use the Rafflecopter form below — it might take a few seconds to load. For those unfamiliar with Rafflecopter, you fill in the fields using your choice of Facebook or your email, which is only used to contact the randomly selected winner (no spam) — it's that simple. 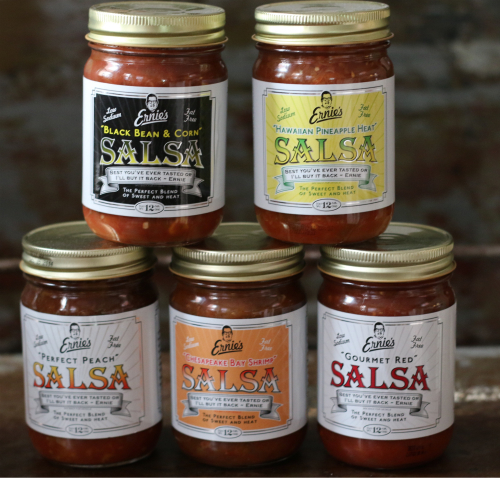 Ernie's Epic Food generously provided me with his salsa bundles for 2 lucky readers included in today's giveaway. All the thoughts and opinions are my own — thank you so much for supporting the partners that make E.A.T. possible. This salsa sounds delicious! I've never heard of using shrimp seasoning in a salsa before -- very intriguing. But since black bean & corn is my long-time favorite salsa mix, I'd choose that one first. :) Thanks for the giveaway opportunity! where can I purchase this wonderful sounding salsa? Libbie Market, Ellwood Thompson's. Fresh Market, Whole Foods, Martin's, Food Lion, Harris Teeter, Food Town, HyVee, Giant, Giant Eagle, to name a few. I most excited about the Chesapeake Shrimp flavor. I am excited to try the Perfect Peach! Can not decide between Black Bean and Corn or the Chesapeake Crab and Shrimp!!! I think the Perfect Peach kind sounds spectacular. I would love to try it! Black bean and corn salsa sounds really good! The Chesapeake Shrimp flavor sounds so good. I'm most excited to try the Perfect Peach flavor. i would like to try the Chesapeake Crab and Shrimp! I prefer savory over sweet, so I would love to try the Black Bean and Corn Salsa. But they all look delicious! The Hawaiian Pineapple Heat sounds interesting! 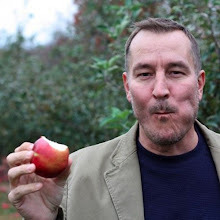 I would love to try the perfect peach flavor because I love fruit. I am so intrigued by the Chesepeake Shrimp salsa!! Yum, salsa! A perfect summer accompaniment! I would LOVE to try the peach salsa. Just came back from Savannah with my weight in peaches! I want to try the black bean and corn stuff. Hawaiian Pineapple sounds really good! I would love to try the black bean and corn! It sounds delicious! I am most excited to try Hawaiian pineapple heat. The sweet with the spicy sounds delish! I am most interested in the gourmet red variety. I am looking forward to the Perfect Peach salsa the most! I would like to try the Hawaiian Pineapple Heat. The perfect peach sounds really delicious! Gourmet Red for me! Yum!